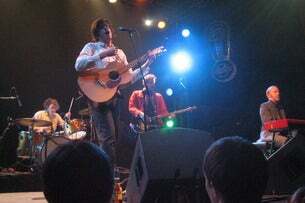 The Silver Gymnasium is ranked 4th best out of 13 albums by Okkervil River on BestEverAlbums.com. The best album by Okkervil River is Black Sheep Boy which is ranked number 1679 in the list of all-time albums with a total rank score of 1,360. Related links: top tracks by Okkervil Rivertop tracks of the 2010s, top tracks of 2013. Showing latest 5 ratings for this album. | Show all 42 ratings for this album. Related links: top albums of the 2010s, top albums of 2013. I've listened to this album more than any other since its release in 2013. It's a criminally underrated record, though I understand that not all listeners will identify with it as much as I do. It's the only record I've ever heard that attempts to capture--and does so brilliantly--what it was like to grow up in rural New England in the eighties. Thank you, Will Sheff, for telling the story of my childhood, and doing it with such grace, humor, and sensitivity. "Down Down the Deep River" is the obvious highlight here, but it's just one of several outstanding tracks. Down the Deep River is a brilliant song. Honestly, that song alone is worth giving the album a shot. 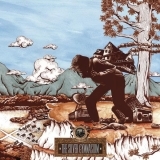 Okkervil River's version of the Suburbs, and only fails by virtue of it being 2nd. Amazing record nonetheless.